The Entrepreneur-in-Residence program provides mentorship and coaching to University of Chicago students. Successful Chicago-based entrepreneurs are available to meet throughout the academic year, and have provided key insight and mentorship to dozens of companies. We also host regular small group sessions and workshops with the EIRs over breakfast and lunch. 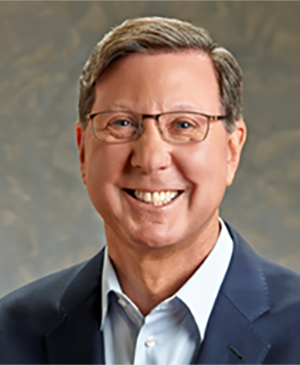 An accomplished healthcare industry executive, Robert Altman’s career reflects success in executive roles in both mature and emerging biotech and pharmaceutical businesses. Most recently, Bob served as President of Pinnacle Biologics, Inc., a subsidiary of Concordia Healthcare. Bob also previously founded and built a fully integrated specialty pharmaceutical company, Marathon Pharmaceuticals, and led the company as CEO and President from 2008 to 2012. Bob’s earlier career included numerous leadership positions over 17 years at Abbott Laboratories. Bob currently serves on the boards of directors for: Toltec Pharmaceuticals, a pipeline pharmaceutical company developing novel therapies that address niche markets exclusive to women’s health; Preora Diagnostics, a diagnostics company developing low-cost, minimally invasive, and highly-sensitive cancer pre-screening tests using technology that detects and measures cellular changes at the nanoscale level; and Output Medical, a medical device company that will advance the standard of care for acute kidney injury and dialysis management. Bob earned an MBA in Finance and Marketing from Chicago Booth, having earlier received both a PhD in Physical Chemistry and an MA in Chemistry from Harvard University, and a BS in Chemistry from the University of California, Riverside. He teaches a five-week course at the University of Chicago on Entrepreneurship for Science and Medicine. Mus Chagal has been involved in international trade acting as a bridge between American companies and suppliers from Turkey and Israel since 2002. He founded CWW/Kudox NA, a private label manufacturer and supplier of radiant heat and building products and materials to retailers like Home and wholesalers like Wolseley-Ferguson. Chagal started his entrepreneurial career at FastWeb, a technology start-up, as the senior vice president of sales and business development. FastWeb became the destination site and search engine for college bound students looking for scholarship, and the prominent one-to-one marketing and customer acquisition platform for companies targeting the youth market (acquiredby TMP Worldwide). After receiving his MBA from Chicago Booth, Chagal was recruited by Booz Allen & Hamilton and helped launch their office in Istanbul. 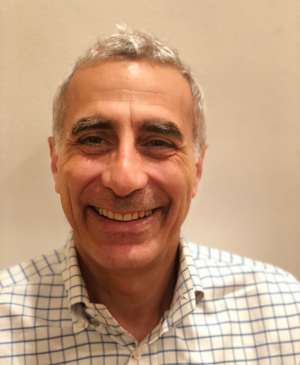 Chagal joined Ameritech Executive Development Program after college and held several senior corporate and operating positions with increasing responsibilities for a decade. 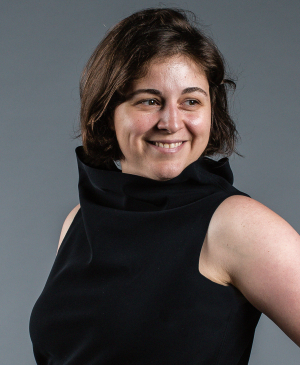 Chagal is an Entrepreneur-In-Residence and Faculty Coach at University of Chicago Booth Polsky Center for Entrepreneurship & Innovation. Chagal has been a judge-mentor for the New Venture Challenge for over a decade. Chagal is the CEO of UICO, a venture backed company with proprietary technology that enables touchscreens to work under direct exposure to water, liquids, and through gloves. He previously served as the chairman of the board of directors at UICO. He is active in the solar sector and is an operating advisor to CivicSolar, leading on-line solar equipment distributorin USA. Mus Chagal was born and raised in Cyprus and came to the USA on a Fulbright Scholarship in 1984. Chagal was admitted to the Lincoln Academy in 1988 as a Student Laureate. The Lincoln Academy elects several Laureates each year to the Order of Lincoln, the highest award given by the State of Illinois. Chagal is passionate about soccer and has coached AYSO for 14 years. He lives in Lincoln Park with his wife and two sons. 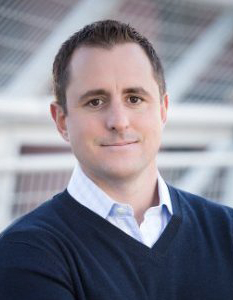 Joshua P. Fairbank has spent over two decades on both sides of the table; as an investor and as an entrepreneur. He is the president of Orchard Capital Management where he sits on the investment committees for the small cap value and the alternative asset strategies. In 2004 he cofounded and led the investment team at Orchard Ventures, a biotech VC fund. In addition to Orchard Capital and Orchard Ventures he is the cofounder of several companies. At Akebia he wrote the original business plan, negotiated the spin-out from Procter & Gamble, and served as a founding director. Akebia is developing an anemia drug that mimics the body’s physiological response to high altitude, it has been tested in thousands of patients and is currently in late stage clinical trials. He runs Nymirum as its cofounder and executive chairman. Nymirum is a computational genetics firm that harnesses AI and big data to work on multiple unsolved diseases including cancers, neurodegenerative diseases, and infectious diseases. Fairbank has negotiated successful drug discovery partnerships with several leading global pharmaceutical companies and worked to obtain significant non-dilutive funding. He is a joint inventor on one of the company’s biophysics patents. Melissa Harris is the founder of M. Harris & Co, a marketing agency that helps companies reach further. Prior to founding the company, she was vice president of marketing at real estate private equity firm Origin Investments, where she helped the firm raise more than $70 million and launch its online investing platform. Prior to that she capped her 15-year journalism career as a Pulitzer Prize-nominated business columnist at the Chicago Tribune. She is the winner of the 2017 Reed Award from Campaigns & Elections for best earned media, a 2017 Golden Trumpet Award from the Publicity Club of Chicago, and six Hermes Creative Awards for her work on The Nuisance Committee, Cards Against Humanity’s super PAC. Alex Hodgkin, MBA ’14, has spent the bulk of his career in investment banking and entrepreneurship. He has worked at Salomon Smith Barney and Headwaters MB. He is the co-founder and managing partner of Intrinsic, a financial services firm providing valuation opinions and transaction advisory services to venture- and private equity-backed companies and high net worth individuals. Doug is chairman emeritus of Hyde Park Angels (HPA), the largest and most active angel group in the Midwest. He is currently executive chairman of the board of UICO, a rugged touch screen company founded at Chicago Booth and one of the first investments made by HPA. Doug is also on the board of directors of Fishidy, a mobile/social fishing app that was recently acquired by Ray Marine, a division of Flir Inc. He also led the successful exit of Gradebeam, which was purchased by Textura (TXTR) in 2011. Gradebeam.com was a SAAS business that connects general contractors and subcontractors in the construction industry. In addition, Doug has been involved in the financial trading community for more than thirty years. Doug began his career in trading coming out of Chicago Booth in 1989 as a spot foreign exchange dealer at Manufacturers Hanover. He became a commodity trading advisor in 1991 and worked for Commodities Corporation, where he successfully traded from both their Princeton and Chicago offices. 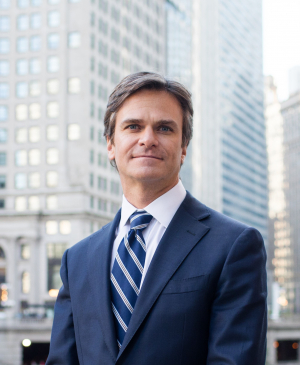 Since 1994, he has been an active member of the Chicago Mercantile Exchange (CME). Doug is a founding member of the NASDAQ100 futures pit, and served as the vice chairman of the Pit Committee from the pit’s inception until 2001. He worked closely with the CME board of directors and staff on pit design, pit space allocation and helped with the successful launch of the e-mini NASDAQ contract in 2001. Douglas is a valued member of the CME Pit supervision committee and has served on the CME group’s political action committee since 2007. Doug has a BA in economics from the University of Michigan and an MBA from Chicago Booth. 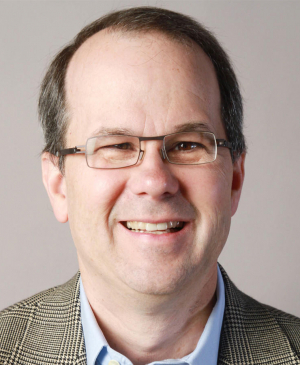 Mark Tebbe is the founder of several start-ups, including two NASDAQ-listed companies: Lante and Answers Corp. He was also the former operating executive at Lake Capital. 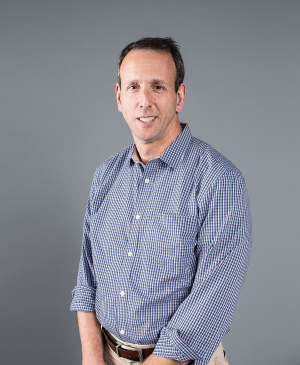 In addition to being an EIR at the Polsky Center, Mark teaches the Entrepreneurial Discovery and New Venture Challenge classes at Chicago Booth as well as serves as the Chairman of ChicagoNEXT, the City’s economic development organization for technology, innovation and entrepreneurship.